Technology can play a pivotal role in future business success - and data is the key component. As the world shrinks and speeds up, there has never been more information; there has never been a greater need to make sense of it all and, despite the current economic turmoil in Europe, there has never been a better opportunity to establish yourself as a Thought Leader. In the world of business, change is rapid - globalisation is now ingrained, trade and finance is volatile, customers are more demanding and competition increases. There is a very real sense that the established norms of the last century are being uprooted. Notably, the economic and political balance of power will shift, the impact of which is difficult to predict with any certainty. However, some factors will remain constant. There will be a demand from private and public sectors for support to manage and leverage social and economic changes. Technology will have a key role in governments and markets fulfilling their potential. Organisations and citizens will increasingly turn to technology to help meet the challenges ahead, and an entrepreneurial spirit will remain key to driving innovation. We believe there are four key challenges that will have a disproportionate impact on current and future business models, where technology can play a decisive role in determining success. The most ubiquitous and publicised of these challenges is that of constrained resources: talent, capital and natural resources. The result is that as rivalry for key global resources intensifies, organisations will need to innovate to sustain themselves. Add globalisation to the resource challenge, which is creating complexity, regulations and interventions, and one can see why there is premium on innovation. We feel that businesses' ability to adapt their organisations, and especially their technology, will be key to leveraging change in the operating and trading environment. We call this the 'variabilization of technology'. It is a process designed to enhance business agility, using tenets such as scale, standardisation and simplification to drive efficiency, optimise delivery and lower unit costs. This is the second challenge. Running through these challenges is a third challenge: how to mine data. Customer insight is key to improving performance and developing products and services. Transforming data into applicable insights, what we call business 'analytics', can offer social advantages for policy makers, as well as competitive advantages for businesses. Data itself will become one of the key commodities. Embracing the opportunities this provides is pivotal to building a leadership position. New ways of thinking and working need to be encouraged and an entrepreneurial corporate culture is central to this - which captures the spirit of Wipro. The fourth challenge we are focusing on is how, in this online age, we can embrace the full capabilities of employees to innovate and drive change. We refer to this trend as the 'consumerisation of technology', or, how technology can best fuel business value through productivity. The past decade has seen a sweeping change across the business world, with enterprises increasingly looking at consumerisation of technology to boost interactivity and productivity. The biggest driver for this adoption has been end-user demand for alternative technology devices in the workplace. At the same time, tech vendors are being influenced by consumer technology advances from start-ups and services such as YouTube, Skype, Google Maps and, of course, Facebook. We believe that organisations will remodel themselves for the future by adopting one or more of these themes to create a sustainable business, accelerate growth and simply to do business better. 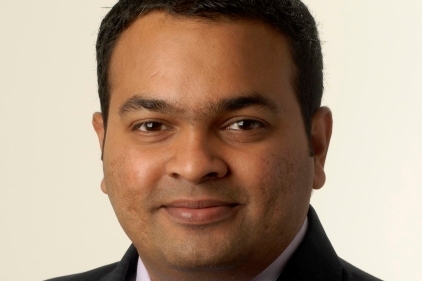 Rahul Kadavakolu is head of international field marketing & global branding at Wipro. One of the world's largest IT outsourcers, Wipro is rated as India's ninth most valuable brand, according to the annual Economic Times survey. The company's chairman Azim Premji took over a modest business making cooking oil and margarine and turned it into the global powerhouse that it is today. Premji's stated mission is to make technology available to everyone; Wipro will this year launch the world's cheapest tablet computer retailing at £20.